This General was the head of the Canadian Army during WWI and this is in tribute to him. The Madman and the Butcher is an interesting book that tries to explain Canada's role and position during WWI and the fight between the War Minister Sam Hughes and General Arthur Currie. 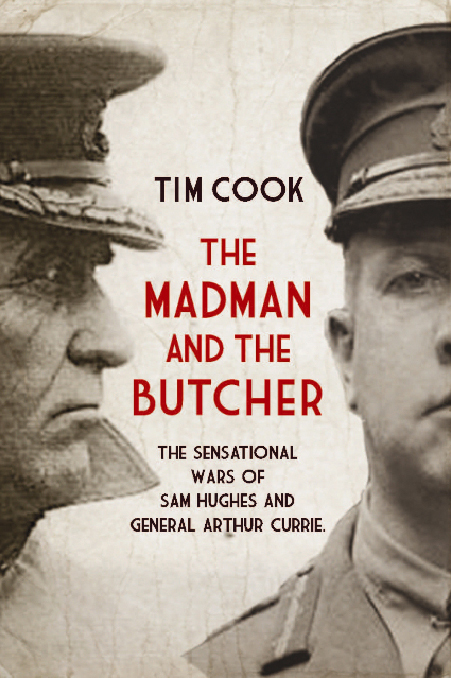 Written by historian Tim Cook and published by Penguin Books. The book gives us another view point of Canada's WWI role and the suffering of the troops from both the battles they had to fight and the inefficient equipment that Hughes forced the Canadian Army to use. This is the 78th anniversary of Currie's death on Nov.30/1933 and if you want to read about the man that helped get Canada to be seen as a nation and not still a colony of Britain then this is the book to read.